It all started many years ago by a passionate local in a boat shed on a sleepy wharf in Mapua under the famous Nelson sun, doing something he loved - delicately hot smoking by hand premium seafood using traditional brick kilns with natural manuka shavings and a refreshingly simple brine. Many years later, this same care, commitment and method of smoking is as strong as it ever was. From rich and creamy pates, succulent pies and chowders, to silky textured white fish. Its 100% natural & preservative free hot smoked seafood delivering perhaps the most authentic taste of the coast you'll find. Our onsite takeaways are a Nelson favourite. Come and savor our delicious fish and chips while relaxing on the wharf where you can enjoy the natural beauty of the Waimea Estuary. Or grab a cool drink from the wine bar opposite or the local craft brewery where an easy going band is often playing in the courtyard. DROP BY IF YOU ARE IN TOWN - our onsite deli stocks our entire smoked seafood range. The Smokehouse produces a wide selection of Premium Hand Smoked Seafood - smoked fish, pate, pies and chowder - all 100% natural and preservative free. Our philosophy is to start with a quality product and make it even better – tastier, more delicious, more succulent. Smokehouse products are ideal in salads, antipasto platters, canapés or simply by themselves with a crusty french loaf. Fish is best served at room temperature or warmed slightly to release the delicate flavours and oils in the product. Our pates are best served slightly chilled and our pies and chowders reheated to your liking. All our products are chilled. Our fish comes vacuum packed with a 28 day shelf life and is packed random weight with each bag of fish weighing about 200g. Our pates have a 21 day shelf life and come in a 190g pottle or a handy 300g tri pack that has 100g of each variant in the pack. 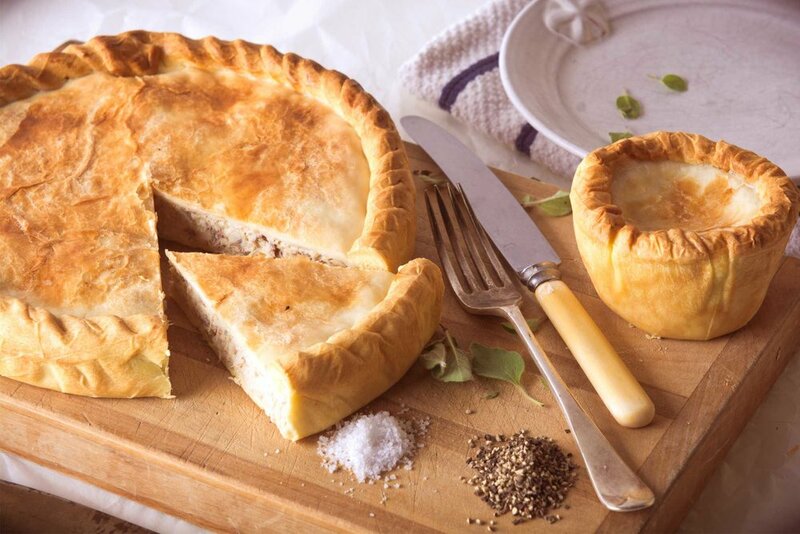 Our pies are vacuum packed with a 21 day shelf life and can be frozen for use later. The Chowder comes in a 500g pot with a 21 day shelf life and can also be frozen for use later. A lovely soft and white delicate texture that flakes beautifully. Moist and oily with subtle smokey flavours. Ideal as it is or with crusty bread or over a green salad. Tarakihi is a medium-to-firm, thick flake textured fish and is moist and flavoursome. Very mild with a slightly sweet flavour. Ideal in chowders, sushi, and pies. Part of the Warehou family, a great option for something with bolder flavours than the white, but still a lovely white and oily flesh that flakes well. Ideal with fettuccine or on your favourite pizza. delicate medium textured white flesh, slightly sweet with a mild smokey flavour and high oil content. Ideal in pies, curries and soups. A delicate and moist flesh that flakes easily with a mild smokey flavour. Idea in pies, curries and soups. This medium textured, medium oil fish has a flavour that is neither too mild nor too rich. It holds together well and lends itself to a variety of uses. Ideal in curries, chowders, soups and stews or for use in Mediterranean Medleys in the warmer months. A very moist white flesh with a delicate texture and low oil content, harbouring a slightly sweet but mild smokey flavour. Ideal in many applications from curries to casseroles and chowder. Dark fillets but lighten on cooking. A very tasty and oily flesh that is ideal in pies and hash. Available plain or with Lemon Pepper or Cajun Chilli flavours. 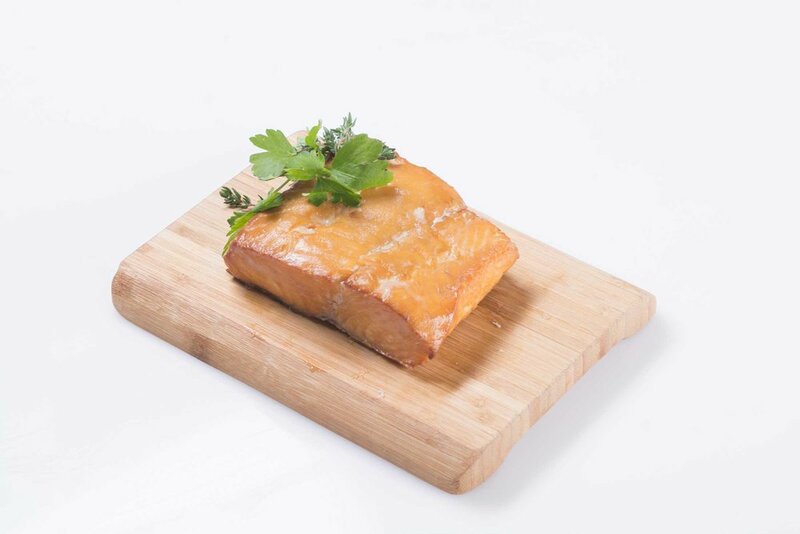 All our patés are handmade from the finest selection of smoked King Salmon, smoked fish and smoked greenlipped mussels combined with our own special ingredients, preservative free and 100% natural. Ideal when served slightly chilled with crusty bread or your favourite crackers. A hearty authentic fish pie. Overflowing with our traditionally hand smoked fish combined with a lovely yet simple rue with no preservatives or fillers, surrounded by a tasty golden pastry. Re heat and eat. Available in Family and Single serve size. A traditional chowder full of hearty chunks of smoked fish and bursting with flavour. Combined with a house made brine using smoked ingredients and finished off with a dash of cream. Enjoy as is with some crusty bread or, for a fuller meal, over a bed of fluffy rice. Our onsite deli and takeaways stocks our full range of delicious smoked seafood and don’t forget to try our famous fish and chips. Eat them on the wharf under the famous Nelson sun or at the Craft Brewery next door listening to some gentle sounds with your favorite beverage. Mapua is a truly beautiful place to visit. Located an easy 30 minute drive from Nelson, the village is set on the Waimea Inlet - the largest estuary in the South Island. It is an area famed for sunshine, sand, scenery, artists and vineyards. The wharf has so much to offer, see and do. From artists and craft boutiques, to swimming and real fruit ice creams, to learning more about the history, there is something for everyone, young and old. In addition to our full range of products stocked in our onsite deli, you will find our lovingly hand smoked seafood at some of the better supermarkets and delis throughout New Zealand. Alternatively, for larger orders, we can arrange delivery to you direct, just contact us by phone or email. © The Smokehouse, all rights reserved. Web design by HotHouse Creative.